Convert PowerPoint to PDF in batches. If you feel headache for converting PowerPoint to PDF in batches, this article will help you a lot in this matter. This article will focus on converting PowerPoint to PDF in batches by software Document Converter which also can convert any printable file to image file or PDF file. If you are interested in this topic, please read the following article. 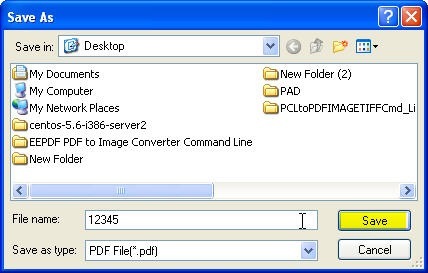 Document Converter is made by VeryPDF Software Company whose products have made up a family for file format conversion. Document Converter is just a slice of it. And if you feel urgent to visit it homage, here is the link for you, http://www.verypdf.com/artprint/index.html . And if you need to have a free trail of this software, you can free download it here http://www.verypdf.com/artprint/docprint_pro_setup.exe .If you really need to understand this conversion well, I guess you have got one copy of it to your PC. When you install it to your PC successfully, there will be an icon on the desktop. Double click its icon; you can enter its interface which looks like the following snapshot. Set the target file format. As we need to convert PowerPoint to PDF, we should set the target file format as PDF. This step can be processed by clicking the button “Setting”. In the bounced tab control, you will find a tab named “Base setting” in which there is a dropdown list for you to choose the target file format. And you can set password for PDF file in two levels from two aspects in the last tab. In the “PDF info” tab, you can add author, key words or others for the converted PDF files. In the “Save PDF mode” tab, you can choose how and where to save the converted PDF files. Click the button “OK” when you finish the setting part. Also by it, you can back to the main interface to continue the conversion. Add PPT files to it. There are three ways for adding files needed converting in batches. 1. Add files by dragging from their containing folder to the software interface. 2. Click the button “Add Files” to browse the folders then go to the files. 3. Press the option “File” on the top then choose the corresponding items according to your needs. Click the button “Start” to browse a folder to save the converted PDF files. 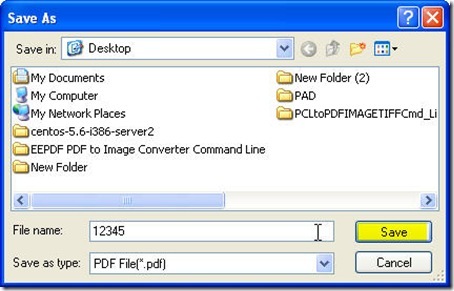 In this step, you need to name the converted PDF file if you do not set it in the setting part. Then click the button “Save” to run the conversion. The following snapshot can help you understand it. If you have set this option in the setting part, this step can be ignored. Once you click the button “Start”, then conversion from PowerPoint to PDF will be run immediately and automatically. A few seconds later, you can use the converted PDF file in the chosen folder. Here I will call an end for the conversion from PowerPoint to PDF in batches. Thanks for your reading. How to convert PowerPoint/PPT to PDF document? How to convert MS Office PowerPoint documents of PPT to PBM? How to print web page or URL to PDF file? This entry was posted in docPrint Pro and tagged in batches, PowerPoint to PDF. Bookmark the permalink.